Heart disease, in many ways, could be prevented by simply reducing the level of sodium we consume with the foods we eat. Even if we did sprinkle less salt in our lunch or dinner, much of the sodium is already in the processed foods prepared by manufacturers and restaurants. We like our food fast, easy and tasty but healthy, nutritious (and delicious) meals require time and effort. If you don’t have the time to make meals from scratch and you have an elderly loved one at home who is on a strict diet, A-1 Home Care will find a caregiver with a culinary background for your loved one so you and the whole family can enjoy gourmet-style meals low in sodium! While you’re at work, why not have a live-in companion stay with your elderly loved one? Our professional, certified caregivers will establish an exercise routine and check vital signs every day to make sure that blood pressure levels are within range. Not only will our seasoned caregivers prepare delicious meals based on doctor’s recommendations, but 24-hour care also includes grocery shopping, running errands, light housekeeping, bathing, grooming, overnight care, and personal care. 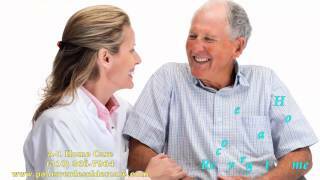 A-1 Home Care is a non-medical home care agency that was established in 1991 to deliver only the highest quality of senior care for the elderly and their families in Downey and surrounding cities. As one of the few state-licensed agencies in California, A-1 Home Care is committed to protecting your loved ones from fraud, theft, shady and questionable characters while providing quality care at affordable prices. Our 24 hour care, live-in care, live-out care, overnight care and other types of in-home care services are covered by long term care insurance and veteran benefits, but if you are paying out-of-pocket, we have viable financing options that are easy on your budget. For quality and affordable cardiac in-home care, call A-1 Home Care (562) 929-8400 or visit us at www.downeyinhomecare.com for services in Downey, Whittier, Santa Monica, El Segundo, Manhattan Beach, Redondo Beach, Pico Rivera, and other cities throughout Los Angeles County. I miss my independence. I miss having the ability to jump in the car and go. I could just go visit someone, get something to eat, hit up the mall. Even if I didn’t want to go anywhere, which wasn’t uncommon, the fact remained that I could. It was an option and in my control…Now my husband makes calls for me. I appreciate it so much, but it makes me feel useless, helpless…searching for the right descriptive word. It can also be just plain embarrassing… A lot of times I feel like my voice is only clear and loud enough to send a subliminal message to others… All of what I miss before ALS that I’ve mentioned does have to do with independence. That’s what ALS does. It takes everything from you. People I’ve met very recently I feel don’t get to see the real me. I want to say I am still that person, but in some ways I’m not. 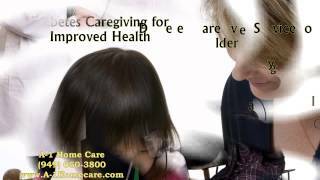 A-1 Home Care recruits only the best caregiver talent in Downey and all over Los Angeles County. 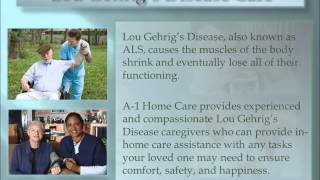 Our seasoned, highly skilled caregivers are well-versed in Lou Gehrig’s Care, prolonging independence as much as possible for individuals with Lou Gehrig’s disease in the comfort of their own homes. For 25 years, A-1 Home Care has provided a continuum of senior care for all types of needs: Alzheimer’s and Dementia Care, Cancer Care, Parkinson’s Care, Multiple Sclerosis Care, Kidney Care, Brain Injury Care and more. 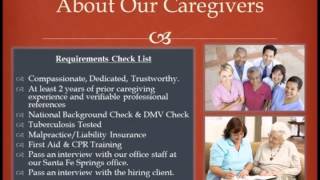 We are a licensed, bonded and insured home care agency, which ensures that each caregiver has a criminal background clearance and all professional references are verified. We have live operators on stand-by 24 hours a day so that you don’t have to deal with an automated answering system. 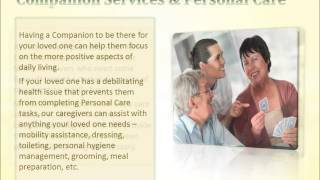 If you’re looking for high quality, affordable and personable ALS Care, you’ve come to the right place at A-1 Home Care! Find the right ALS caregiver today! Call A-1 Home Care (562) 929-8400 or visit us at www.downeyinhomecare.com for services in Downey, Whittier, Pico Rivera, Cerritos, Long Beach, Santa Monica, Hollywood, and other cities throughout LA County. Fibromyalgia is a form of arthritis that affects the way your brain processes pain signals. More common in women than men, this condition is manifested in musculoskeletal pain, insomnia, mood swings, and memory loss. The cause of fibromyalgia is sometimes caused by significant emotional or psychological stress, or it could be brought on by physical trauma or infection. Especially common among women and those in the lower socioeconomic bracket, fibromyalgia is the second most common disorder in the United States. The pain comes and goes, which makes it hard for people to plan ahead. 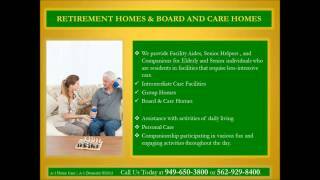 A-1 Home Care in Downey provides excellent in-home care assistance with daily chores to relieve your burdens. Since there is no cure for fibromyalgia, seniors can make the best out of the situation by using 24-hour arthritis care assistance, especially on days when they don’t feel up to anything. A-1 Home Care in Downey can help with daily chores like cooking, cleaning, errands, prescription pick-ups, transportation and more. If your elderly loved one needs motivation like an exercise buddy to get out of the house, a great companion will do the trick. Our live-in companions will show your loved ones specific exercise techniques that will reduce pain and ameliorate other symptoms to improve your loved one’s quality of life. 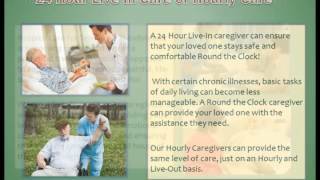 Looking for affordable in-home care without compromising quality? 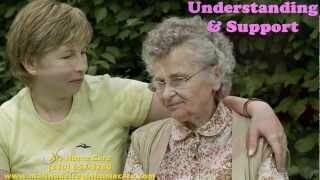 Look no further than A-1 Home Care! Seniors, women and other family members can enjoy excellent 24-hour in-home arthritis care or part-time live-out care at the most competitive rates in Los Angeles County. A-1 Home Care serves communities in Downey, Whittier, Pico Rivera, Pasadena, Hollywood, Santa Monica, Beverly Hills and other cities throughout LA County. We offer flexible payment plans and also accept Veteran Benefits and long-term care insurance. Connecting with A-1 Home Care’s managers is easy because our phone lines are never closed. We are open 24 hours a day, 365 days a week, to answer any questions or respond to concerns because we care! “Is it possible that a disproportionate number of traffic safety problems may be linked with drivers’ brain injuries?” This question, posed by Dr. Gabriela Ilie, the lead author of a study on the link between Traumatic Brain Injuries and road rage, raises other questions such as road safety for your loved one who may have recently suffered a concussion or loss of consciousness after a head blow. If you have reason to suspect that your loved one may be a danger to himself or others on the road, it is recommended to get part-time help for now until your loved one’s head injury heals or improves over time. The study, published in Accident Analysis and Prevention, shows that TBI survivors tend to exhibit significantly higher incidents of road rage. A-1 Home Care in Downey provides temporary and long-term care for individuals who are TBI survivors. The dictionary defines Traumatic Brain Injury as an occurrence when the head suffers a violent blow or jolt. Car accidents, gun shots, contact sports like soccer or football, and internal factors like a piece of a shattered skull are common causes of head injury. A person who suffers from TBI may experience temporary dysfunction and would require assistance like driving. Severe brain injury, like torn tissues and internal bleeding, calls for long-term care like bathing, cooking, cleaning and feeding. A-1 Home Care in Downey offers affordable Brain Injury Care a few hours a day or round-the-clock care. Established in 1991, A-1 Home Care has provided quality Brain Injury Care for families in Downey, Whittier, Pico Rivera, Cerritos, City of Industry, Norwalk, La Habra and surrounding areas for 24 years. 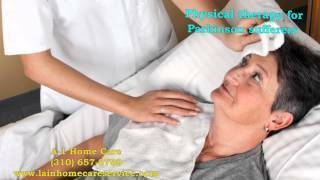 We are a non-medical home care agency that’s licensed, bonded and insured. This means that every caregiver who walks through our doors is thoroughly screened for your safety and security. Our care management staff ensures that you will be 100% satisfied with the caregiver services you receive! A-1 Home Care has easy financing options with reasonable payment plans and terms for those who pay out-of-pocket; Veteran Benefits and long-term care insurance are also accepted. 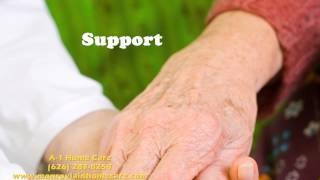 To hire a caregiver today, call A-1 Home Care (562) 929-8400 or visit us at www.downeyinhomecare.com for more details.